Zurich for Engelberg (just over the hour from the airport on a good day) - stay near the lift or drive to the car park if staying a little further out. French resorts around Geneva also possible but IME the above are better bets. What time is the earliest departure from a London airport? For example, you can go from LCY to Granada. GRX is a tiny airport, so you are off the plane and through customs in <10 mins. It is only 45 min max transfer to the Sierra Nevada or go to AGP (Malaga) for a 2 hour transfer. It really depends on when you can get off work on a Friday. London to Venice or Treviso then the bus up to Cortina or better still, hire a car. Fly to Geneva, hire a car from the Swiss side (includes winter tyres) and drive to one of the many resorts within 1 to 1.5 hour radius (Morrillion, Les Carroz, La Clusaz, PDS, Leysin,...). You'll be able to ski Saturday and Sunday (full days) and get one of the many late flights back to London. I've did this last year (staying in Morillion) and managed to get the full 2 days skiing with no problems at all. Your biggest constraint here is flight timings, I.e. you need a late night flight out of London (which I think rules out Innsbruck, but leaves Venice in scope if Gatwick is doable). The flight timings I use are LCY-GVA either 18.25 on swiss, or 17.45 on BA or LHR-GVA 19.10 on BA. Coming back BA has a 21.00 GVA-LCY which means you get a full day skiing on the Sunday. However, these flights are very popular precisely because they let you have a full weekend skiing with no time off work, so they are typically expensive, at around £2-300 return, and sometimes more like £4-500 return if you leave on a Thursday night. From Geneva the world’s your oyster, e.g. grand massif, porters du soleil, la clusaz, st Gervais/les contamines, Chamonix, etc. Many of these have minibus transfers, but with your schedule I’d hire a car to save time, around £100 for the weekend. Weekend pass prices are going to be broadly similar at any major resort, around £100 for 2 days. @Wes_Becks, Zürich + train/post-bus to various resorts works well and is less hassle than a hire car. @Wes_Becks, it’s been discussed many times here and - in general - - and unless things have changed elsewhere massively - if you want to do a Friday night - Sunday night - you are almost certainly best served in and out of Geneva. Which then has a well established transfer infrastructure to at least the big name local areas. Zurich then train is also probably fine from London, but very little beats the Easyjet flight density UK<-> Geneva. Short transfers also vital. A 4 hour transfer for a 20:00 flight ruins your afternoon. I am somewhat out of date because after two winters effectively commuting from the Alps to London to work during the week we reversed the process in 2006. I think in the last London based winter we did maybe 10 x 2 day weekends with 2 full ski days each time. Ashby de la Zouch is awesome. We got a dry ski slope at Swadlincote, and Snowdome in Tamworth. What more could anyone want? Europe is your oyster, given that you live in London. Despite living 240 miles away we've done numerous weekend trips from Stansted or Luton over the years, flying out really early Saturday then hiring a car and skiing that afternoon. Then we've skiied all day Sunday and caught a late flight back. We've usually arrived back in the UK about 22.30 Sunday and have pulled away from Stansted or Luton at midnight a few times. Over the years we've flown to Geneva, Turin, Milan, Friedrichshafen, Zurich, Oslo, Bergamo, Lyon, St Etienne, Venice and Munich - all for 1 night in the Alps. It was definitely well worth it - even when the alarm went off for work on Monday after 3 hours in bed! I’ve done Friday night to Sunday night from London to Munich. Tell us what airport you want to start from and what time you want to fly and somebody here will have done the same and know what’s possible. Any airport in/near London other than Gatwick and any flight later than 6pm on the Friday and return after 6pm ideally. Fly LHR to Geneva, hire car on Swiss side as @JuanPlank, say PDS, Grand Massif, Megeve or many more within 90 minutes of Geneva. In resort accommodation can be tricky to book in advance over a weekend as it messes up potential 2 weeks booking for the owners. Drop down into the valleys, say Cluses, then weekend accommodation is much easier to book (and cheaper) especially as you will be low season. We've not flown it but as a last minute thing we have driven it from Somerset for Easter. Drove out Friday, got there late afternoon, skied Sat and Sunday drove home Monday. @Wes_Becks, I’d start with Skyscanner or google flights, put in the flight time/airport criteria and select Geneva, Zurich, Munich or any of the other suggested airports to see where there are flights that suit. The sleeper train to Scotland gets you very close to skiing, but might be more of a last minute thing given weather and snow conditions. Leave Stansted for Venice Treviso at 1835, return flight Sunday 2200. Car hire unavoidable I assume unless your numbers make a taxi transfer feasible (never hired or returned that late personally) and ski one of the dolomites resorts..... Arabba if you want the big area and can get accom. Alleghe for a shorter journey. Maybe the weekend of the PBB! Could that work? @Wes_Becks, Scotland? I didn't even do weekends in Scotland when I lived in Edinburgh. Too many plans dropped at midnight on the Friday. Skyscanner is your friend for flight finding. I would just get nervous re flights where it's one per day. But from London you should have no problems. Why not Gatwick though? Surely easier than e.g. Luton? In the past accom would have been an issue but per a thread elsewhere not so much these days. Airbnb/Booking have clearly influenced the market. If Geneva, and transfers available, unless you need a car in resort, I wouldn't hire. From London, it is very, very doable. As mentioned, we probably did (?) 30-40 such trips in our latter years living there. @Wes_Becks, I am 3 hours away by car from Scotland's ski areas & I fly out to the Alps for weekends, very easy to do. If you're hiring a car, I'd recommend you start by getting some quotes via the '.ch' landing pages of the car hire firms at Geneva see http://www.gva.ch/en/desktopdefault.aspx/tabid-72/. These sometimes (but by no means always) have rates and vehicles not shown on the corporate '.com' or '.co.uk' pages. In any event, it provides a baseline. You can join the Hertz Gold CLub for free and sometimes this may help if they're rates are competitive: there's a separate Gold clients desk, which can save time if it's busy, and I've found myself uprated regularly. Also beware something that happened to a friend of mine last winter: Got what he thought was a good rate; picked up from the Swiss side; then returned to the Swiss side (as you do) to be told it was a return to Ferney-Voltaire. Cue a tour of the airport environs, a very long walk back (no shuttle) and an annoyed partner and almost missed 'plane. He's adamant that he didn't specify return to Ferney, and just assumed it'd be back to the same location. Now that you post, occurs to me that flight into Zurich and train somewhere near there (Laax? Flims?) would also be a possibly good option. 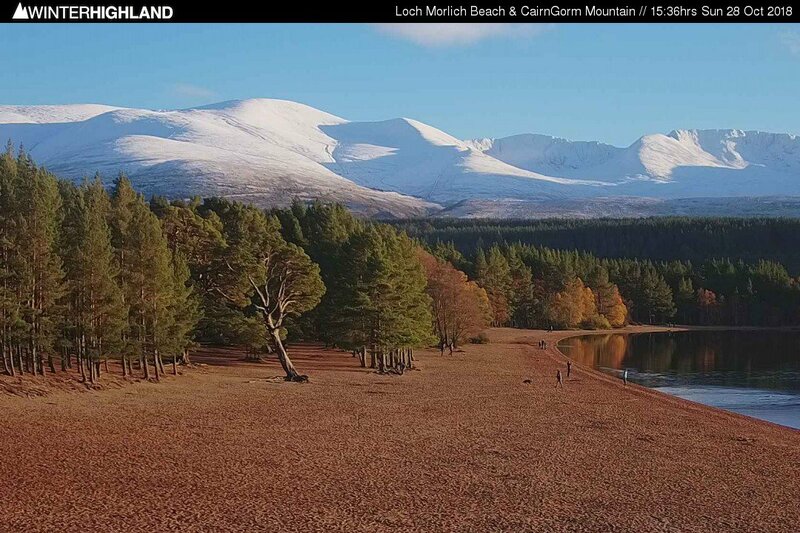 Feb to Apr is best for skiing in Scotland (and the Nordics). March is when snow and sun are usually best. Check the weather and snow on Thurs... Look for yellow suns in the forecast... Fly, train or drive Fri... Ski Sat and Sun... Travel back Sun night or Mon morning. Keep an eye on Winterhighland and SnowHeads websites. The very obvious options then are LHR into Geneva on BA / LH / Swiss and pick from PDS or Grand Massif or else LHR into Munich on BA or LH and take your pick about how far you want to drive into Austria. FWIW I think Munich is a lot easier to get through quickly than Geneva and there is also a (kind of expensive) shower in the airport that you can use on your way home which is way nicer than going home stinky. I do when you factor in picking up and dropping off rental cars. It just seems to work that much better in Munich. In any case, I’d make my decision based on overall trip cost, snow quality and food. In 2005 & 6 we used to have both our licences on its predecessor, walk past the desk, pick up keys directly, and back then the cars were in the main car park. It could be worth looking at collecting Avios for short weekend breaks, especially if last minute, and at off-peak times. Often there are no reward seats available, but sometimes you can pay 8000-9000 Avios + £35 return when cash flights are several hundred. I've booked the majority of my ski flights this way the last few years, especially last minute trips. @Wes_Becks, ok, here is one I have done before. BA from LHR to Munich on friday evening. Train into Munich Hauptbahnhof and find somewhere cheap to stay around the station (Booking.com £60-80). Few beers in a seedy bar and then bed. Rise early and don the ski gear (you won't be alone in that at Munich Hauptbahnhof) and catch the 07.34 to Woergl and then change to the Kitzbühel Hahnenkamm train that will deposit you at the foot of the Hahnenkamm lift just before 10am. Dump your stuff in a locker, buy ticket, rent gear if you have to at the huge rental shop, go skiing. Hopefully you will have found and booked somewhere that'll take you for just one night (that's potentially the tricky bit and avoid Hahnenkamm race weekend in Jan as rooms on the Saturday night will be impossible). Sunday morning dump stuff back in a locker at Kitzbühel Hahnenkamm and then go skiing. Enjoy a bit more apres in the Streifalm and retreive gear from locker. 16:38 train gets you back to Munich Airport by 18:55 which is plenty of time to catch the late BA back. Over the years I have compared weekend London-GVA with London-MUC and MUC wins on price always. Onward travel from MUC is easier too. So... a late train to a crappy hotel near the Bhf and a horribly early start to get another train to resort is easier than getting on a minibus at the airport and getting out at the door of your hotel 75 mins later (Chamonix, +/- depending on which hotels, etc.)? I'm not a stuck record on Geneva and I understand it's potential failings esp. off a busy UK flight with passports, etc. but having done very many ski weekends in the past its proximity to resort and the surrounding infrastructure makes the whole journey generally very much more efficient. And you have to bear in mind that (I think) you don't want to build in additional fatigue (or indeed, travel risk), starting back at work on the Monday morning. Hmm... I'm not so sure. Surely that's part & parcel of a great ski weekend - being exhausted at work on the Monday? And all trips (regardless of duration) have "travel risk" attached to them. Best to squeeze in as much skiing as you can, I think, and manage the (unlikely) consequences later. You only live once! As something of a local I would tentatively suggest you avoid weekends in Scotland, if there's snow and weather's good the weekends get absolutely mobbed, they will not limit numbers and take your ££ and offer very little service in return imho. By contrast if you can ski midweek it can be very very good, no queueing at all. Weekend problems could be compounded this winter by Cairngorms current problems with uplift forcing people to other ski areas. I ski at Glencoe and Nevis but not on weekends, Glencoe gets horrific traffic problems on a good snow weekend. I may get shot down for that view but I'm older and more picky about my skiing experience these days. Appreciate this thread is dead but as I'm new thought I'd throw my hat in the ring. @LittleBullet, it possibly helps if you live near London. Its a pity that Innsbruck flight timings are rubbish for weekend trips as there are plenty of options within a few hours of the airport. You pretty much waste a day getting there and a day getting back! We just go from Munich but it normally means finishing up skiing at around 3pm which is only 1 hour lost I guess. I wish the airlines would sort out better Innsbruck timings for winter.